Doing Church in a Media-Drenched Culture It has been said, "the future is now." From cell phones to mp3 players to the Internet, no previous age has seen such profound change manifested so quickly. But these thrilling, dizzying transformations are forcing the church to decide where it fits in all this progress. Shane Hipps presents the promise and peril of the emerging culture and its relationship to the emerging church. 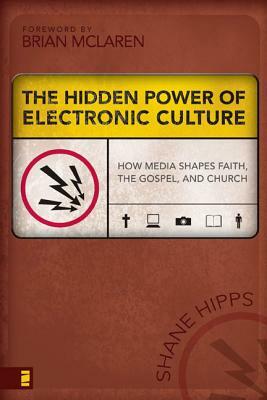 Looking beyond the details of what's happening in communities of faith, Hipps analyzes the broader impact of technology and media on the church while engaging readers with questions such as: - Is media/technology value-neutral? - How has technology changed the way we think about Scripture, community, and worship? - What cultural opportunities has the church missed? - How should the church position itself to take advantage of coming cultural trends? Providing both history and prophecy, The Hidden Power of Electronic Culture invites us to engage new cultural realities while staying connected to our spiritual heritage.